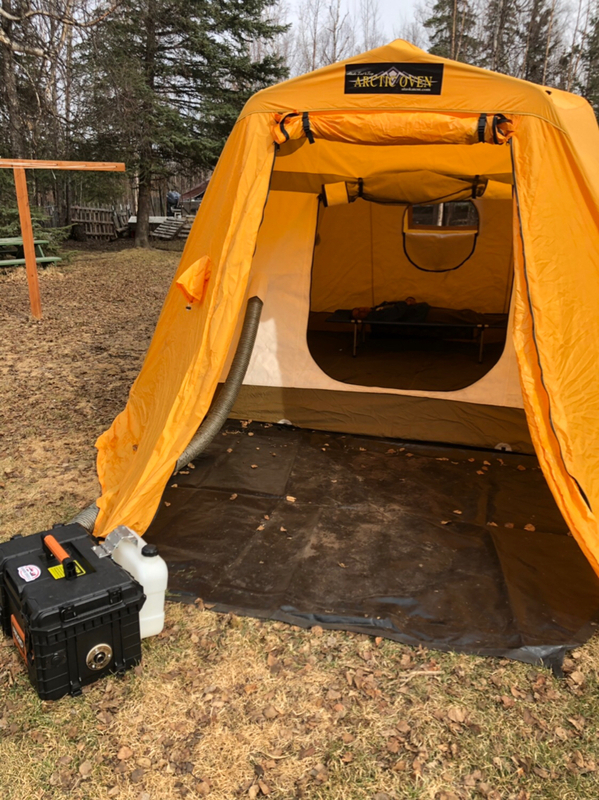 If you have been thinking about buying an Arctic Oven tent and have been following Alaska Tent and Tarp for any amount of time, then you know this is a pretty big deal. They are having a huge Spring Sale with the largest discount they have ever offered. 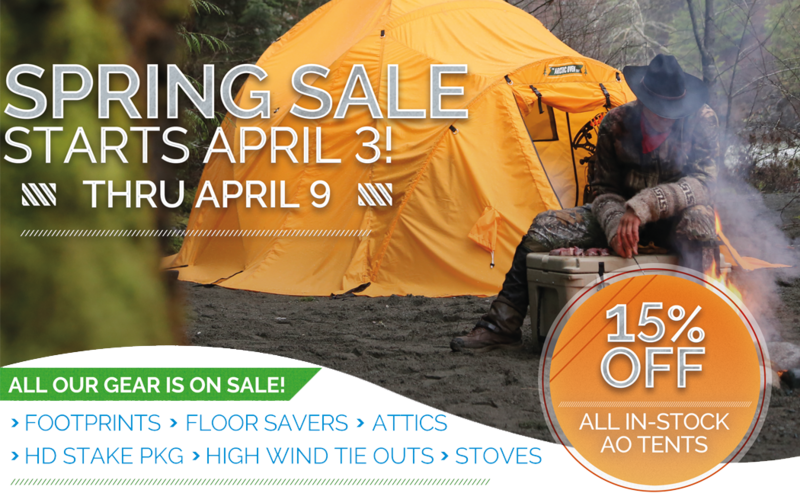 Prices will be 15% OFF of all of their Arctic Oven Tent models! It starts April 3rd and runs through the 9th. Anyone have a AO 12 for sale? I would like one. If not, Looks like the sale is the time to pick one up. Thought I'd check before I bought a new one. Sure appreciate the heads up on this deal. Just a reminder, tomorrow is the last day and the stock is getting limited. When I bought mine I had waited a long time for them to go on sale and then it was only 10%. This is the first time I have ever seen them do a 15% off sale. 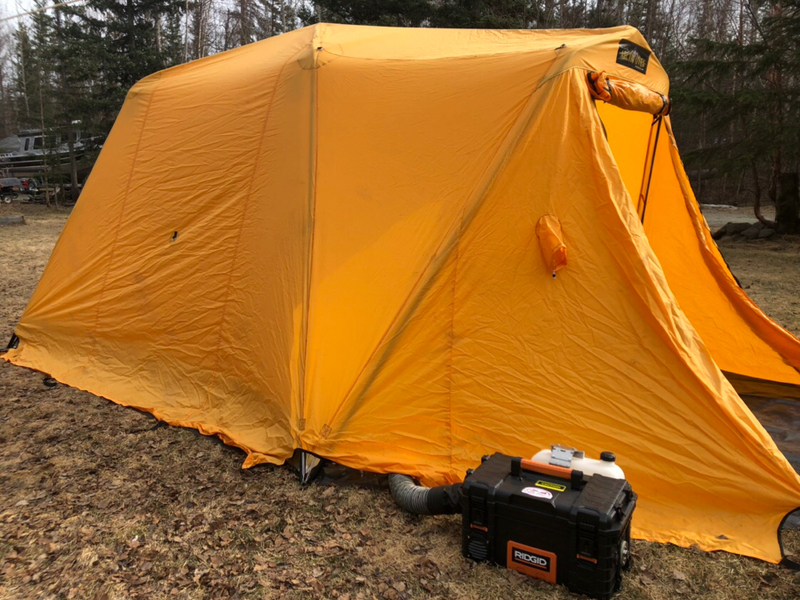 Simply awesome tents, cant wait to go camping. Best deal I have seen to pick up a new new one. Hooked up the portable Planar heater to test it out, smoking hot in there in no time at all. Who carries that heater locally? Bk Marine Services builds them out in Palmer. 2 yr warranty and they are amazing units!